All-new for 2016, the 3rd-gen Audi TT is a technological powerhouse and performance marvel. 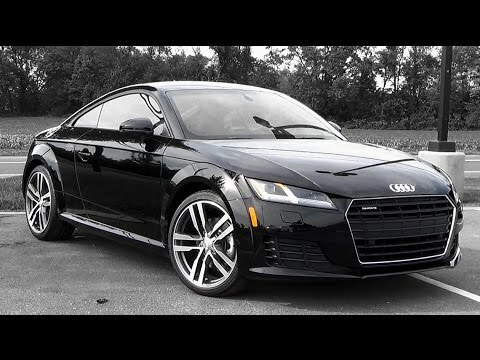 The Audi TT coupe and roadster compete with performance cars like the BMW Z4, Infiniti Q60 and Porsche Boxster, but none can match Audi's integration of cutting-edge technology, standard all-wheel drive and everyday practicality. The Audi TTS Coupe packs yet more punch. It turns very sharply. Watch out for curbs or buy the tire and wheel package. I love the technology. I love the way it looks. I like having a convertible. The microphone is built into the driver seat belt. This is a bad design. It's not as fast as it looks. It appears to be high performance but not to the level of competition. Not many dislikes other than wish I'd gotten black interior instead of brown. I also wish the navigation system was not so complicated.